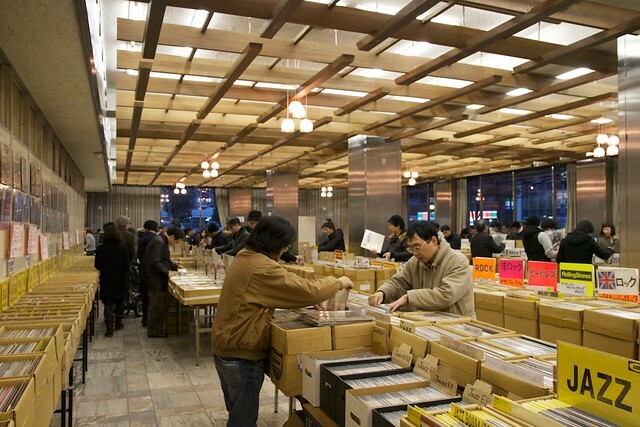 15 to 20 professional record stores from all over Japan get together to propose their latest catalogue. 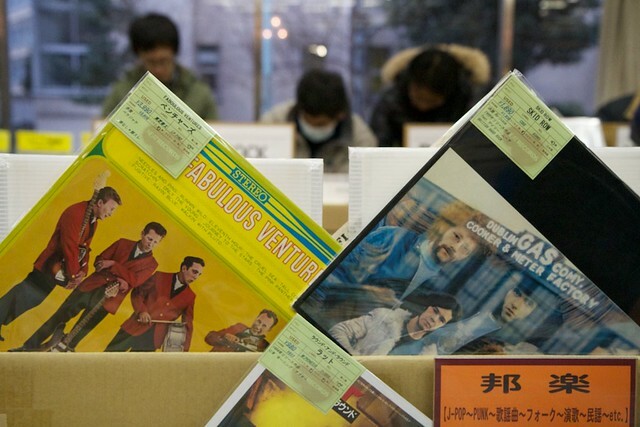 Tens of thousands of LPs and CDs are on display for 3 days, with a common cashier at the exit which allows buyers to pay for all the purchases together. 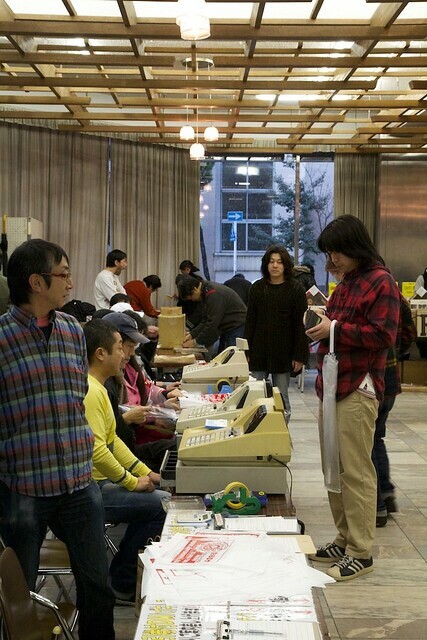 Some of the exhibitors organize their own conventions in other parts of Japan. The promotion of the event is done by Hagiwara-san thru his own website which has its own mail magazine, direct mail and some PR in the Japanese media. 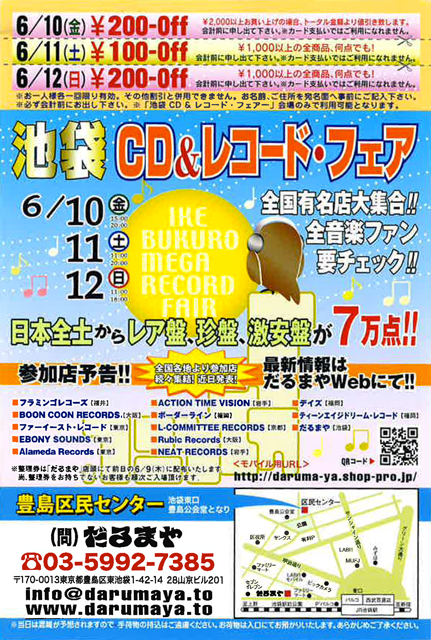 A flyer like this one is printed also. 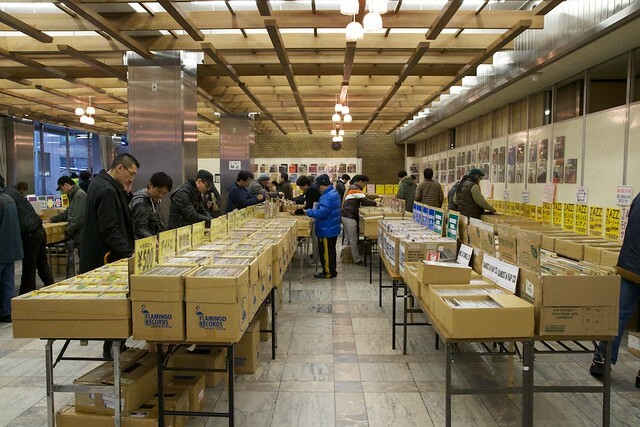 The example we are showing you is for the next event labeled “Ikebukuro Mega Record Fair” which will take place on the 10th, 11th and 12th of June : about 70 000 refs will be put on sales by the best records shop of the count. 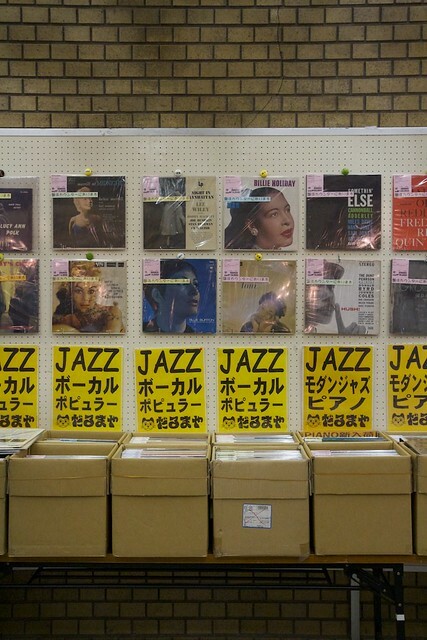 If you can make it to Tokyo, it is definitely worth it ! 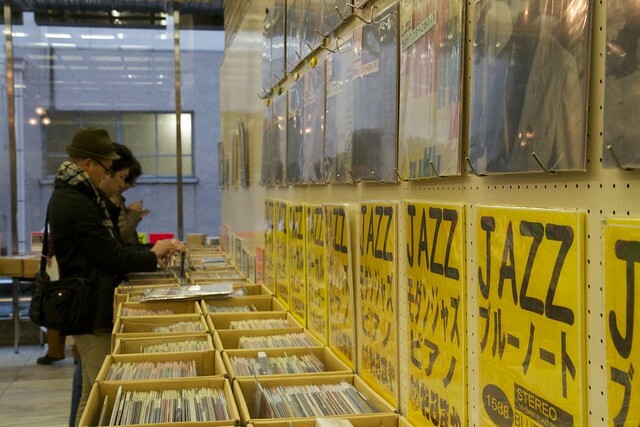 Hosting one of the Midwest's largest Record Fairs on April 11th, 2015! !